Sorry (not sorry) for the pun in the title. I'm heading to Seoul for a bit for the Rotary International Convention, so I'll be putting up more travel pics! ​If you want to follow along, check out my Instagram below or check out the hashtag #papercranetakeover as I promote my Rotaract Club's Thousand Paper Cranes project! 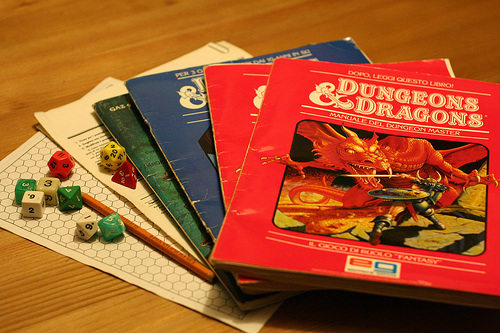 I have some thoughts I want to put down about celebrating the mundane through RPGs and the language independence of games and their rules when I come back, so keep and eye out for those! Until then, wishing you all the best! 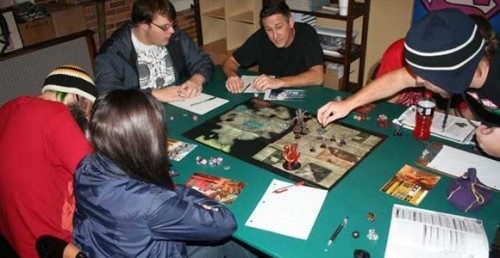 I started playing tabletop roleplaying games (tRPGs) about 4 years ago. I started running tRPGs about 3 years and 11 months ago. I ran an Introduction to tRPGs session about two weeks ago. This is what I've learned. See that projector screen in the background there. That's what we'll be talking about. Last month, I had the opportunity to run the Global Dinner experience again. This time I tried to integrate some digital technology, in the form of a Twitter Wall, into the experience. I had the opportunity to playtest the newest version of Blocaganda at SwanCon and soon after at Playup Perth! The most recent playtest was the first public playtest with the councillor cards and the first time I had the opportunity to try out the four-player mode. Working together with my local Rotaract Club, I'm holding an introduction to roleplaying games for anyone who hasn't ventured into this realm of communal storytelling on April 15th! Those who would like to meet some other roleplayers are also welcome! To make sure we cover all our bases, we'll also be having a short presentation on LARPing! While I have GM'ed a couple of games over the last few years, including an eight month fortnightly Numenera campaign, this will be my first time playing with people who may never have heard of tabletop RPGs before. It will be an interesting night and I hope all who attend will learn a little bit and enjoy it a lot. For anyone in the Perth area who is interested, you can grab a ticket here! Another of the Japanese games I purchased, Maskmen by Oink Games. It looks like a nicely themed version of Big Two, until you start trying to understand the rules. Then, you realise this game is really just for mathematicians. During my travels in Japan, I picked up some Japanese boardgames, including Eat Me, If You Can, designed by Jun'ichi Sato. While an English version was published by Iello in 2014, I picked up the 2015 Japanese edition, shown in the picture above. After Swancon, I'll be at Playup Perth, on April 2nd, at Carpe Cafe! There, I'll be playtesting the latest version of Blocaganda alongside a whole bunch of other awesome games by local developers! So, if you're in the area (Perth, WA), then come along and support your local games industry by helping us make our games better! You can grab your ticket here. Finally, a shoutout to all the amazing sponsors (below) who make this possible for us every month!